It was officially confirmed today that Munster’s Alan Quinlan will retire from professional rugby at the end of the current season. Quinlan, who will shortly celebrate his 37th birthday, confirmed the news today at Munsters weekly media briefing at the University of Limerick ahead of their Magners League game against Scarlets. The Clanwilliam clubman, named in the squad for the Scarlets game, has played 210 competitive games for Munster since making his debut in November 1996 and in addition to that was capped 27 times for Ireland. He has been a part of all Munster’s successes, Celtic League, Celtic Cup, Magners League, and both Heineken Cup titles. In the 2006 campaign he suffered an injury in the opening round against Sale Sharks that kept him out for most of the season, recovering in time to play a part in Munsters inaugural Heineken success. 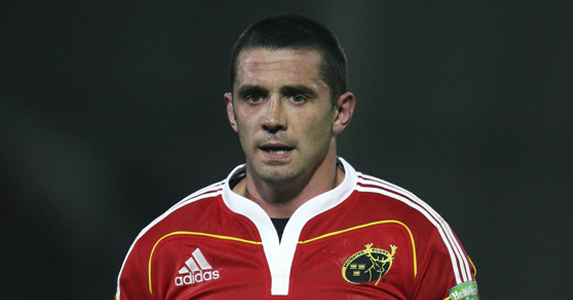 Alan Quinlan has been an integral part of the success of Munster Rugby for the past 15 years. His longevity in what is a highly attritional profession is a tribute to his dedication, application and durability. Alan was a players player whose impact in big games and ability to turn a negative situation into a positive action made him a great player to have on your side and a crowd favorite. 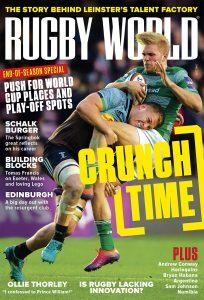 “His decision to call it a day at the end of this season of course evokes a sense of poignancy for all of us who have worked with him but it’s balanced by the knowledge that he can look back on a great career with pride at what he’s achieved. He’s leaves us with our thanks and very best wishes for the future.